I listen patiently as these people go on and on about Promoted Posts or Marketplace ads, as if these are the only ways to advertise on Facebook. I bow my head… rub my temples… and take a few deep breaths. The truth is that the secrets to true Facebook advertising success are found in the tools and strategies that are used by very few marketers. Why aren’t more marketers using them? No, it’s not because of cost. You can use these tools and strategies, too. Are these tools and strategies somewhat complicated? Sure they are. And this shouldn’t scare you off. If it were easy, everyone would be doing it. It’s that level of complexity that separates the cream from the not-so-creamy. And you want to be creamy. You’re reading this post because you’re not scared off by challenges. You know that true success isn’t found in shortcuts. And if you’ve read enough of my stuff, you also know that I’ll do my best to break down the complex into simple terms to help you understand and benefit from it. 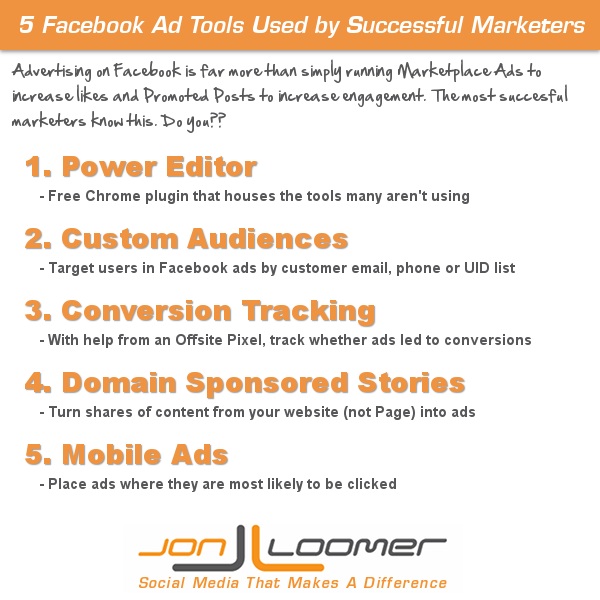 So without further adieu, here are the five Facebook ad tools and strategies that successful marketers are using. You should be, too. It only makes sense that I start here since some of the other items on this list can’t be utilized without Power Editor (or a third party tool that utilizes the Facebook ads API). You see, Facebook’s self-serve ad tool (the interface used by probably 99% of marketers) is scaled down to make advertising as simple as possible. But there are several important — and more complex — features that are missing from it. Those features are, of course, available in Power Editor. What is Power Editor? It’s a clunky-as-hell Chrome plugin. It’s technically a bulk editor that is supposed to make ad creation easier. And like I said, it’s clunky as hell. It’s manual as opposed to dynamic and will often annoy you with its poor interface. But don’t let that keep you from using it. Possibly the greatest benefit of Power Editor is the detailed targeting that you can’t do from the self-serve ad tool. For example, you can create an ad that only shows up on mobile or only on desktop News Feeds. This is how successful split testing is done! Some have said that the act of “liking” a Facebook Page is too easy and too light. People like your Page for any number of reasons, and often not because they have purchase intent. But guess what? If you’ve been taking special care of your email list, you know which people have purchase intent. Why? Because they’ve purchased from you. This is the beauty of Custom Audiences. You can import your email list (or phone number list or Facebook UID list) into Power Editor, and Facebook will match up those addresses to users. Facebook won’t be able to match up all of those email addresses since some won’t be used to set up profiles (I’ve found that anywhere from 10-30% tend to be matched up to Facebook users), but this allows you to serve up ads directly to people who have a connection with you outside of Facebook. The ability to create ads that target customers who have purchased from you before is absolute GOLD. Let’s start from broad and move to increasingly targeted to show the power of Custom Audiences. General Email List: I’d argue that those who have agreed to give you their email address and receive regular correspondence are more serious about your product or service than someone who likes your Page. Additionally, many of these people may not currently like your Page. So you can craft advertising that targets these people, either alerting them of a new product or encouraging them to like your Page in exchange for your predefined value. General Customer List: You have a list of people who have purchased products from you before. You can now create Facebook ads that promote your products that are targeted specifically at these people. The likelihood of purchase just went up! Specific Product Customer List: Now think about this… You have a list of people who own version 2.0 of your product. But you’ve recently launched version 3.0. Which people would be most likely to buy it? Yep, those who bought 2.0. When that product is launched, marketers know to send emails to these specific customers. But not everyone opens marketing emails. 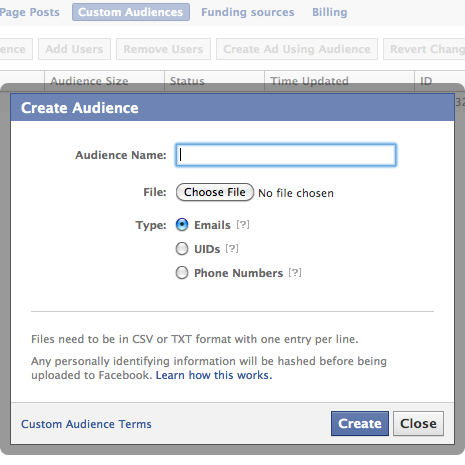 And if you can hit those people additional times on Facebook, the purchasing potential just went up again! Up until now, you may be using Facebook ads that drive people either to an external landing page or an app within Facebook that features your product, service, contact or subscription form. And up until now, you’ve likely been measuring success of those ads by CPC (Cost Per Click) and number of clicks. Completely ignoring the most important step. The beauty of Conversion Tracking is that you can now place an Offsite Pixel (just a small piece of code) on the conversion pages of your site to communicate with Facebook when an ad is successful. 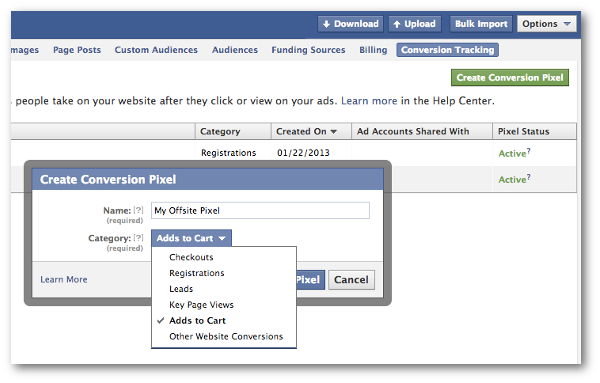 The “Actions” that Facebook displays in its reporting will now be directly related to Conversions. This is extremely important, particularly for those who continue to scream about not being able to measure ROI on social media. But it also makes monitoring of these ads — based on actual results — much more productive. You see, the performance of ads can be deceiving. You can be distracted by a particular ad’s low CPC or high Click Through Rate. The rate per click tends to be higher in countries like the United States, Canada and United Kingdom, for example. So you may be led to believe that such ads are too expensive and not successful. But what your metrics weren’t telling you was which ads were leading to conversions. You may have been getting high clicks at a low cost to certain countries, but they weren’t leading to conversions. But now you can measure your true cost and return to determine which ads are worth continuing. I don’t know about you, but website traffic is extremely important for my business. Traffic leads to direct revenue, whether it be sponsorship revenue or leading to a direct purchase. I use countless strategies to drive more traffic to this website, whether it’s paid or organic. Most of those strategies that involve Facebook start with my Facebook Page. But Domain Sponsored Stories are completely independent of my Page. These ads promote the sharing of content from my website by friends to Facebook. So today, Bob may share this blog post to Facebook with a comment “Check out what I learned today about Facebook ads!” Such activity could then be converted into an ad that will appear in News Feeds. The results? I’m seeing CTR of between 1-7%. I’ve been constantly pruning and am seeing Cost Per Click — at its best — between $.05 and $.13. Depending on how you value each page view to your site, this could be a very efficient way of increasing your traffic. The highest Click Through Rates for Facebook ads are those that pass through the News Feed. And some advertisers have found that success rate is even higher on the mobile News Feed. I find that the cost and success rate are often markedly different for each of these placements. But while mobile placements are often the priciest, I typically find that cost to be worthwhile based on Actions. You may find, as I have, that with most campaigns you are throwing your money away on the sidebar. Only a select number of marketers have figured this out and are creating ads that target only the News Feed — or more specifically, only the mobile News Feed. Are there other little utilized tools and strategies not listed here that only a small group of Facebook marketers are benefitting from? Let me know in the comments below? 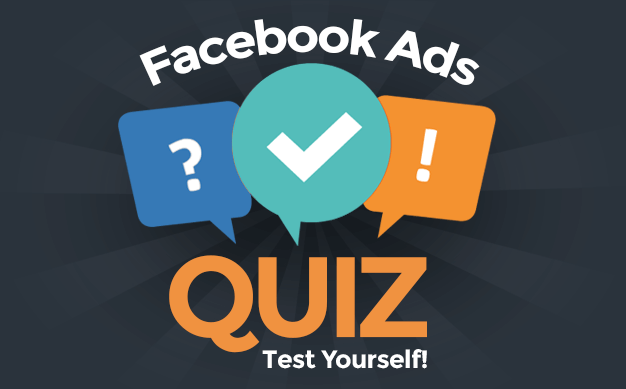 Need help with your Facebook advertising? Set up a One-on-One Coaching call, and I can step you through these and other strategies.